Edn has followed the KDE 4.7 releases, and with KDE 4.8 a new name will be used. With this release KDE is updated to 4.7.4, kernel to Linux 3.1.4. The sound group has been rebuild/updated, latest networkmanagement and mesa-stack are also included. Chakra is now offering a DVD and CD version. 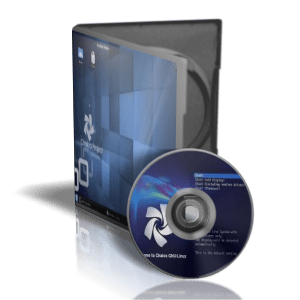 The CD version is to get to a minimal working KDE desktop, with only a text-editor, file-manager, web-browser and a simple media player installed, no further apps, no language packs. The DVD version includes all the language packs, most of standard KDE apps, LibreOffice 3.4.4, tomahawk, xbmc, calibre, printer support, minitube, k3b to name a few. What New Linux Chakra Edn 2011.12? For all our GTK fans we added some more popular GTK-apps as bundles. You can download them from our bundle page and run them with a simple double-click right away. A good start is to read our Wiki or visit our Forums. To create reliable installation media, please follow theinstructions in the wiki. Chakra’s ISO’s do not support unetbootin, and CD/DVD’s need a burn speed no higher then 4x.